In anticipation of these changes, a number of revisions to the PACE Codes of Practice were also presented to Parliament in December. For further detail on the Policing and Crime Act 2017, go to https://www.gov.uk/government/collections/policing-and-crime-bill. The current texts of the PACE codes as amended can be found at https://www.gov.uk/guidance/police-and-criminal-evidence-act-1984-pace-codes-of-practice. Following a review of the governance arrangements for the Independent Police Complaints Commission, and a Government Consulation held in 2015, the Policing and Crime Act 2017 provides in section 33 and Schedule 9 for the Commission to be renamed the Independent Office for Police Conduct. It will continue to investigate complaints against the police, but will have a clearer governance structure. This change is in part a response to survey evidence showing a lack of public confidence in the current IPCC. The review is at https://www.gov.uk/government/publications/governance-of-the-independent-police-complaints-commission. The consultation, published on the same date, is at https://www.gov.uk/government/consultations/reforming-the-independent-police-complaints-commission-structure-and-governance. Last year, I noted in this blog the creation (in December 2012) of the College of Policing – replacing the National Police Improvement Agency. Following the enactment of the Anti-Social Behaviour, Crime and Policing Act 2014, the College is now recognised in legislation. (See Part 11, sections 123-130.) The College is given specific statutory power to issue Codes of Practice. • identifying, developing and promoting ethics, values and standards of integrity. of policing – to include the public, further and higher education, the private sector, charitable organisations and the wider public sector – and make the most of all opportunities to work with others to support policing. • working in the College or with one of our partner organisations to gain new skills and knowledge, while sharing learning and experience. Further detail of its plans can be found in its statement of strategic intent at http://www.college.police.uk/en/20801.htm. The reason for the creation of the College lies in a number of difficult issues that have affected police forces in recent years which has led to falls in public trust in the ability of the police to work effectively and fairly in carrying out its work. Responding to these worries, one of the first actions of the new College was to develop and publish a new Code of Ethics for the police service (similar in aim to codes of ethical practice which apply to most professional groups). The Code was published in July 2014. Accountability: You are answerable for your decisions, actions and omissions. Fairness: You treat people fairly. Honesty: You are truthful and trustworthy. Integrity: You always do the right thing. Leadership: You lead by good example. Objectivity: You make choices on evidence and your best professional judgement. Openness: You are open and transparent in your actions and decisions. Respect: You treat everyone with respect. Selflessness: You act in the public interest. Perhaps surprisingly this is the first time that a set of ethical standards for policing has been published. Naturally it will be asked what difference publication of the Code will have on day to day policing. This question certainly cannot be answered at this stage. However, as the College itself notes, its effect will become clearer if the public starts to acknowledge that standards of police integrity have started to improve. In August 2013, I wrote about the very critical report by HM Inspectorate of Constabulary on the use of Stop and Search power by the police, and the annoucement by the Home Secretary of a consultation on the use of these powers. In April 2014, the Home Secretary announced that there would be a new ‘Best use of stop and search scheme’ which had been drawn up by the Home Office and the College of Policing. In August 2014, it was announced that all 43 police forces had agreed to abide by the scheme and the scheme was published. • Data Recording – forces will record the broader range of stop and search outcomes e.g. arrests, cautions, penalty notices for disorder and all other disposal types. Forces will also show the link, or lack of one, between the object of the search and its outcome. • Lay observation policies – providing the opportunity for members of the local community to accompany police officers on patrol using stop and search. • Stop and search complaints ‘community trigger’ – a local complaint policy requiring the police to explain to local community scrutiny groups how the powers are being used where there is a large volume of complaints. • communicating to local communities when there is a section 60 authorisation in advance (where practicable) and afterwards, so that the public is kept informed of the purpose and success of the operation. It is obviously hoped that greater transparency in the use of these controversial powers will make their use more acceptable in the communities particularly affected by their use. Given the past history, there must be some doubt as to the potential effectiveness of the new scheme. But it does represent an attempt to prevent the use of stop and search powers having the deleterious impact on individuals and communities that it has had in the past. The National Crime Agency started work on 8 October 2013. (See blog for that date). Its launch was accompanied by the publication of a Government paper setting out a strategy for dealing with serious and organised crime. acquisitive crime and cyber crime. The paper stated that the strategy also deals with serious crime which demands a national coordinated response, notably other fraud and child sexual exploitation. The paper out reasons why dealing with organised crime is important. immigration crime threatens the security of our borders. We regard human trafficking as a pernicious form of modern slavery. Financial crime can undermine the integrity and stability of our financial markets and institutions. reducing the impact of this criminality where it takes place (Prepare). The Government has undertaken to publish annual reports setting out the extent to which these objectives have been achieved. 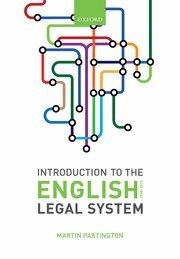 Looking at these issues from the perspective of the English Legal System it seems clear that the balance between policing activity being delivered locally to local communities – which has until recently been the predominant model – and being delivered nationally to deal with new forms of criminality is bound to change. This shift is not a question that has been widely discussed in public media. Improve the Government’s ability to recover criminal assets by amending the Proceeds of Crime Act 2002. Amend the Computer Misuse Act 1990 to ensure sentences for attacks on computer systems fully reflect the damage they cause. Create a new offence targeting people who knowingly participate in an organised crime group. Extend the scope of Serious Crime Prevention Orders and gang injunctions. Establish new powers to seize, detain and destroy chemical substances suspected of being used as cutting agents for illegal drugs. Clarify the Children and Young Persons Act 1933 to make it explicit that cruelty which is likely to cause psychological harm to a child is an offence. Create a new offence of possessing ‘paedophilic manuals’. Extend the extra-territorial reach of the offences in the Female Genital Mutilation Act 2003 (and the equivalent Scottish legislation) so that they apply to habitual as well as permanent UK residents. Allow people suspected of committing an offence overseas under sections 5 (preparation of terrorist acts) or 6 (training for terrorism) of the Terrorism Act 2006 to be prosecuted in the UK. For further details on the strategy, see https://www.gov.uk/government/publications/serious-organised-crime-strategy. Border Control Command, designed to increase security at border entry points. Child Exploitation and Online Protection Centre (CEOP) Command which aims to protect children from sexual exploitation on the internet. Organised Crime Command (OCC) which leads, supports and co-ordinates the national effort to identify, pursue and disrupt serious and organised criminals. The Agency also contains the National Cyber Crime Agency, which aims to provide a joined-up national response to cyber and cyber-enabled crime. Critics of this new initiative argue that this is largely a ‘re-branding’ exercise for pre-existing bodies with a rather underwhelming track record, which is also likely to struggle because it has had its funding cut. My view is that it is far to early to assume that this will be the case. The Agency has to have some time to establish itself before we can determine whether it is delivering the benefits planned for it. There is quite a lot of information about the agency available on-line. Go to http://www.nationalcrimeagency.gov.uk/ and follow the various and varied links.